We are proud to announce, our newest version of CaterShark has launched on CaterShark.com! Our latest version has replaced all existing functionality previously running on AdvancedChef.com. We are proud to announce the new version has been released with the start of 2018 and it no longer requires a monthly recurring subscription. The new system has all the bells and whistles as our previous version but with a streamlined interface that is 100% mobile friendly! Our latest version allows you to enter your company information into our CaterShark Directory and lets us push you business as customers search for caterers and restaurants in your area! 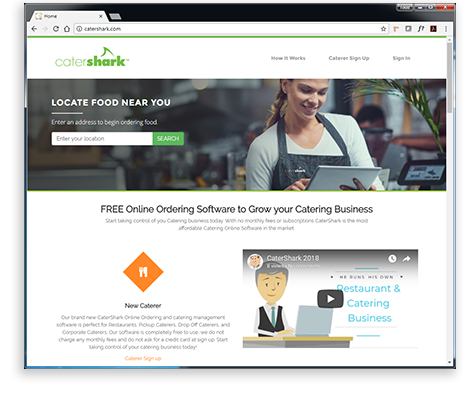 Head over to CaterShark.com to learn more and complete the quick sign up page built entirely with restaurants and caterers in mind!